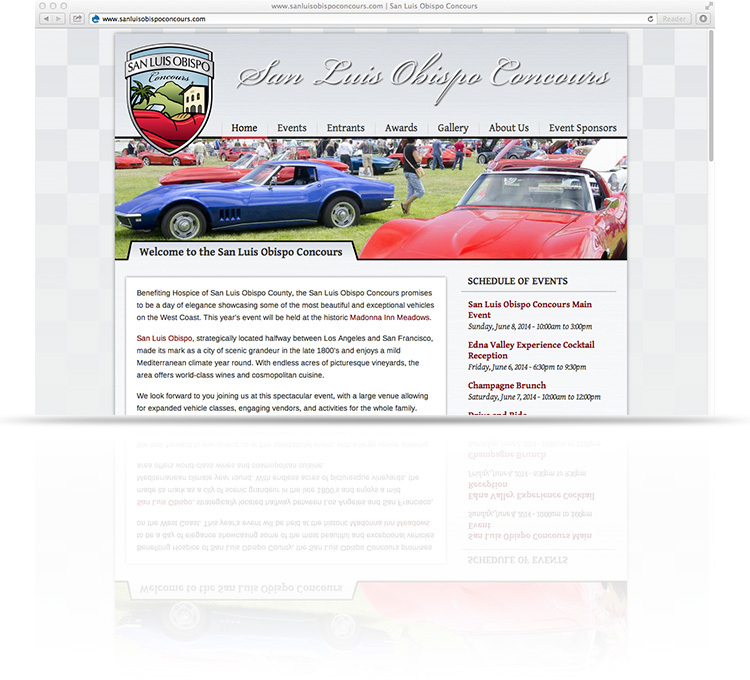 The San Luis Obispo Concours Committee came to Good Electrons looking for web solutions to manage their event and its registrations. Disatisfied with manual processed registrations, and one size fits most online ticket services, they desperately needed a turn-key solution for their detailed vehicle registrations and multiple event payment processing. We made this task a breeze for them by creating a customized order process that included all their custom registration forms online.